JJC’s STEM fair showcases the need for students to go into STEM careers and the opportunities students have here at JJC. Vendors prepare for the influx of students to come through the door who are curious to learn what these companies have to offer. The Lockport Porters Robotics club sets up their robot to demonstrate to students while JJC’s architecture, engineering, and construction program sets out a box of Legos, wooden blocks, and models for students to play with. The Morton Arboretum attended with different animal furs, skulls, and tree slices that students could look at under a microscope attachment that works with an Apple iPad. The room is filled with anticipation as people wait to hear Congressman Bill Foster speak. Foster is a scientist who started his own company with his brother which now manufactures over 70% of theatre stage lighting. According to Foster, “STEM jobs have doubled faster than other jobs in recent years.” STEM jobs are becoming more commonplace as technology continues to advance. Argonne National Laboratory’s employees are currently researching hydrogen fuel cell particles and using them to power automobiles. This research could lead to cars not releasing emissions and pollutants into the air. With the current president not believing in climate change, research on lessening emissions and pollutants is very important. BP America was there with a virtual reality simulation of how they drill for oil and information on STEM-related careers with the company. The virtual reality video was an interesting experience that definitely informed students. Aurora University introduced information on STEM-related majors including a bachelor’s degree in Human Animal Studies. It’s often believed that STEM only includes science, math and computer science degrees, but that is not the case at all. STEM majors have the capability to be extremely broad. JJC’s MakerLab was a personal favorite. Touring the MakerLab was impressive; that type of technology was impressive and it was amazing that it was available at JJC. JJC’s MakerLab was opened in 2016 but had been closed since Dec. 2017 because the previous individual in charge left according to Debra Daun, MakerLab assistant at JJC. A MakerLab is a space where students can use 3D printers, laser cutters, and a vinyl cutter. Students are encouraged to come in and use the lab at their leisure to print projects. While touring the MakerLab, various projects were laying around the lab some of which included the Eiffel Tower, a Yoda figurine, and 3D-printed slugs. The MakerLab has classes that students can take to learn more about 3D printing and laser camps. Classes are also offered for kids through JJC’s Kids’ College to get them interested in STEM and 3D printing. Students at JJC should take advantage of the MakerLab whenever possible. When speaking to Hillary Denk, who works for Congressman Foster, said that she believes all schools should have a MakerLab and they shouldn’t be constrained because of funding. Technology today is amazing because there are so many things to be accomplished with 3D printing. The medical field is an example of having the ability to be greatly revolutionized with 3D printing. Researchers could 3D print patients’ prosthetic limbs and so much more. During the fair, driving the Lockport Porter’s robot and instructing it to pick up a ball was a great experience. Building a robot like the Porters’ takes extensive knowledge of mechanical engineering, physics, math, and programming skills, all of which can be useful when applying for jobs. JJC also had booths concerning architecture, engineering and construction which all featured a model of the Washington monument, Legos building, and just learning about the classes offered to students. One of those classes is ART 223 or History of Art in Architecture. This class can appeal to multiple students such as History majors, Art majors, and Architecture majors. STEM crosses over into so many different aspects, which is great because so many jobs today are STEM-related due to technology rapidly evolving in the last decade. Science, technology, engineering, and math have become a major part of school curriculum all over the country. In the past decade, technology has evolved rapidly. 3D printing, MakerLabs, laser cutting, and more give people access to technologies that they previously would not be able to use. 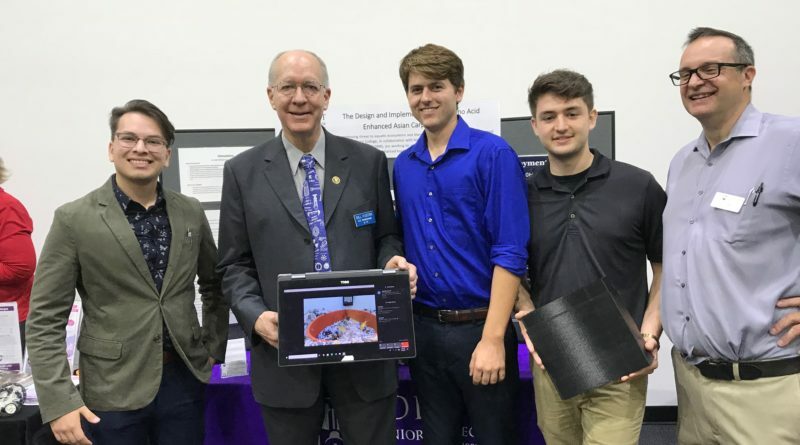 JJC’s STEM fair highlighted some of these technologies and opportunities that students have here at JJC and other surrounding colleges in the area. STEM careers have doubled faster than any other job sector and that trend will continue the more that technology develops. The need for skilled workers will continue to grow as well. Students need to be aware of the opportunities and support that is offered to them in order to gain the experience needed for future careers in the STEM field.